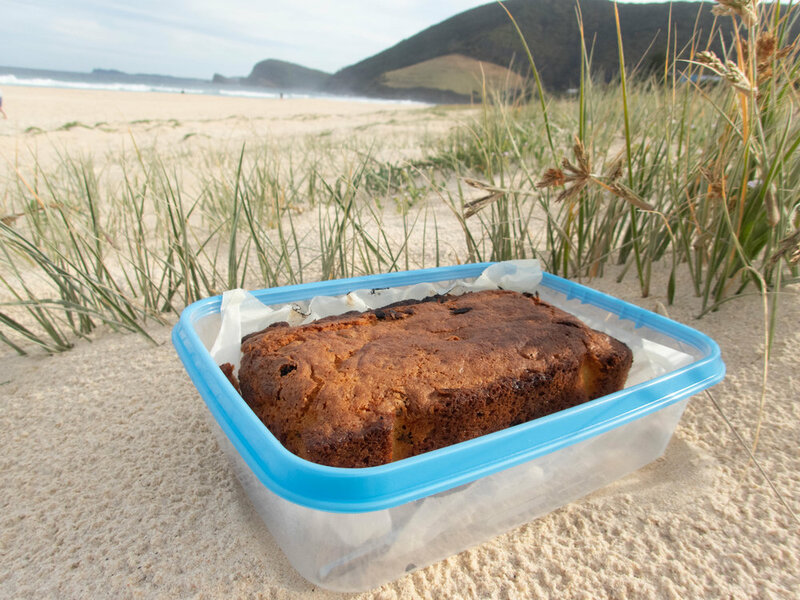 This tasty sultana cake is the perfect recipe to provide a sugar boost mid-hike or even during a scuba diving surface interval, as tried + tested by our Ambassador and diving enthusiast, Charlie Elliott. PS. you can bump up the energy provided by adding nuts of your choice! Add in the beaten eggs in 3 parts, beating in-between. Beat in milk and lemon. At this point the mixture looks a bit curdled, do not worry! Line loaf tin, spoon the mixture in.